Some cookie alert and privacy messages seem a little more sophisticated than before but, in many respects, the new GDPR world doesn’t feel much different to the pre-GDPR world right now. A friend recently suggested that the GDPR is the Twenty-teens (“Tweenies”?) equivalent of the Millennium bug, i.e. a monumental amount of preparation and fuss then nothing happened! Of course, the difference with the GDPR is that there was no expectation that planes would suddenly fall out of the sky, life support machines would switch off, or banks would lock people out of their accounts as the clock ticked past midnight into the 25th May 2018. The impact of the GDPR, now that the huge amount of preparation has passed by, is actually the new normality. It’s a long-lasting change to how businesses manage personal data with individuals having far more rights than before. For those of us in the survey and market research world, particularly where we manage surveys for our clients, it has added another dimension for us to consider. With all good surveys, we should begin with the questions the survey is trying to answer; “What insight would we like from the analysis?”, “What decisions do we hope to make based on the output?” etc. From there, we can develop the questions we need to answer and who we need to ask. This hasn’t really changed, but now we also need to seriously consider how we might process any personal data; do we really need to collect personal data? If not, could even anonymous data, indirectly, be associated with (or become) personal data? If we do, then what is the legal basis for collecting and processing personal data? Is it clear to the respondents exactly what the data will be used for? Where is the data stored and do we need additional mechanisms for respondents who want to access, change or delete their personal data or how we use it? As a data-driven business we have spent the last year making sure our software, systems and processes are equipped to handle these additional factors but recognise that many occasional survey compilers (and possibly some regular ones) may not have thought specifically about the impact of the GDPR on the survey they’re about to run. To help our clients, we have been working on a (relatively) simple tool that allows any survey author to answer a series of questions about their survey to see what impact the GDPR might have on their project. The first version of this free GDPR Impact Tool is now available and works with whatever system the survey is being compiled on (although there are some additional hints included if you are a Snap user). 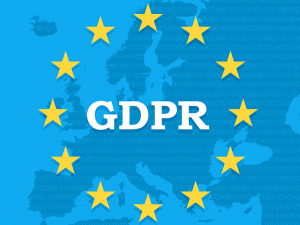 For more information on how Snap Surveys is helping our clients with the GDPR, click here. Feel free to use and let us know how you get on with it. About the Author: Grant Stevens is Commercial Director for Snap Surveys Ltd who have been providing market leading survey software and research services for over 35 years with offices in Bristol and London, UK and Portsmouth NH, USA. Very interesting. GDPR obviously affected every company, but I never thought about surveys and how it could make an impact.